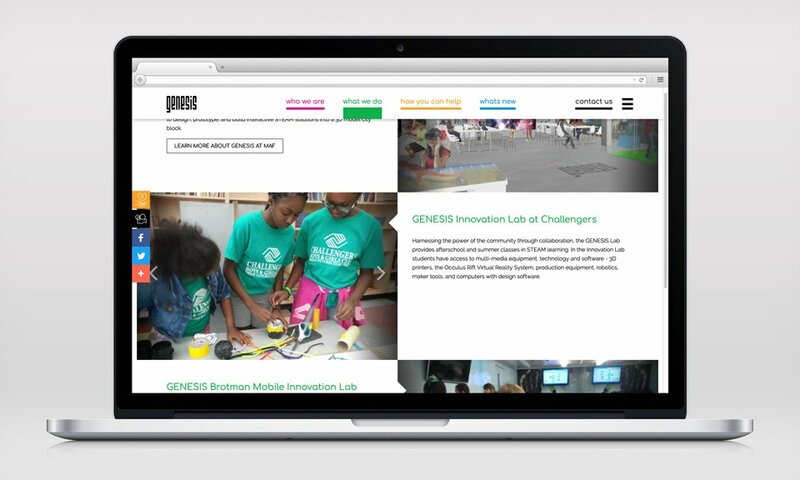 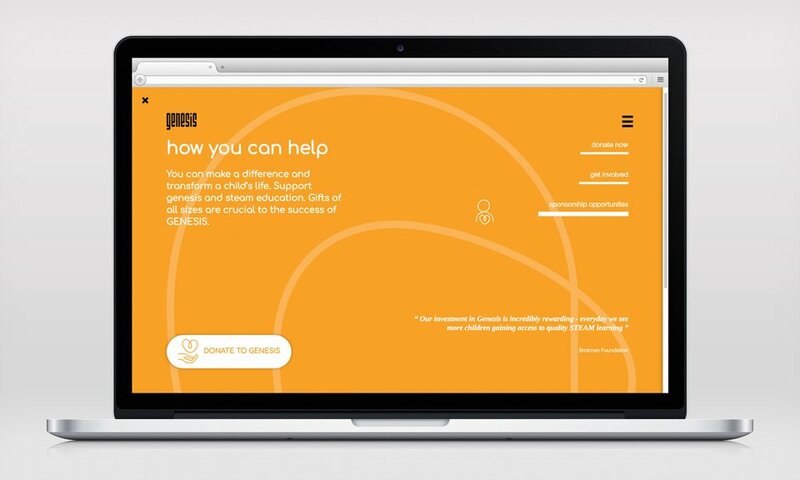 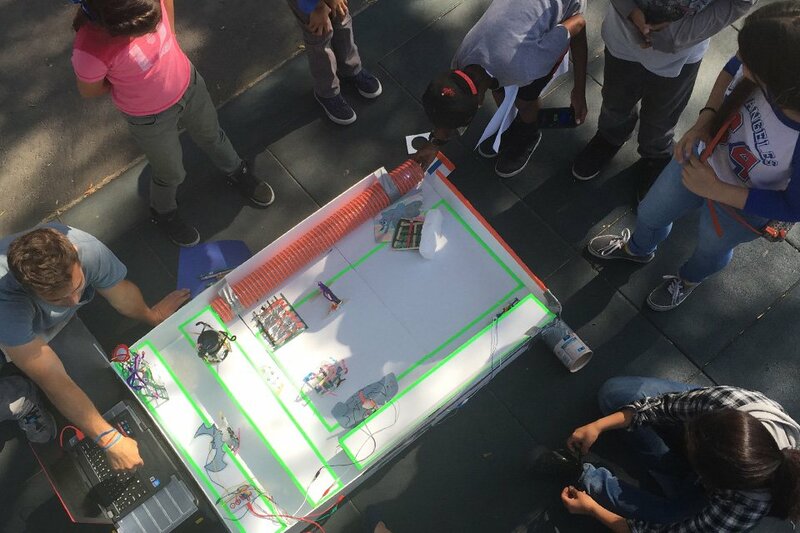 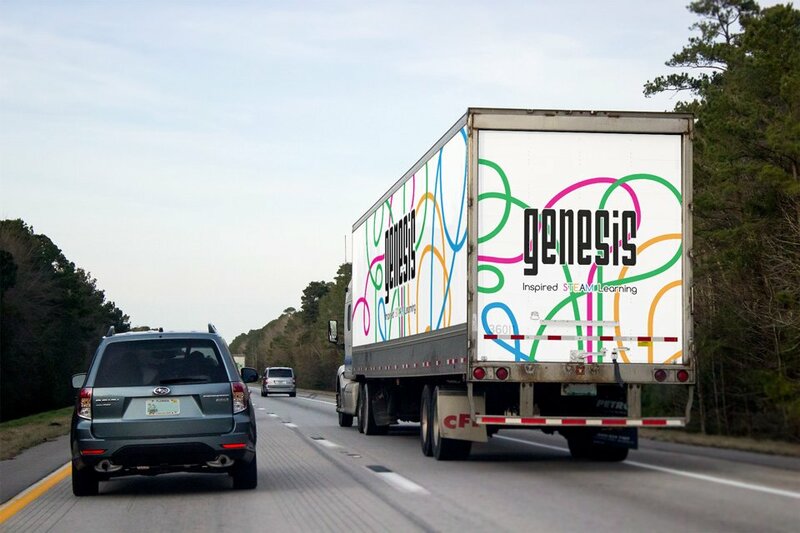 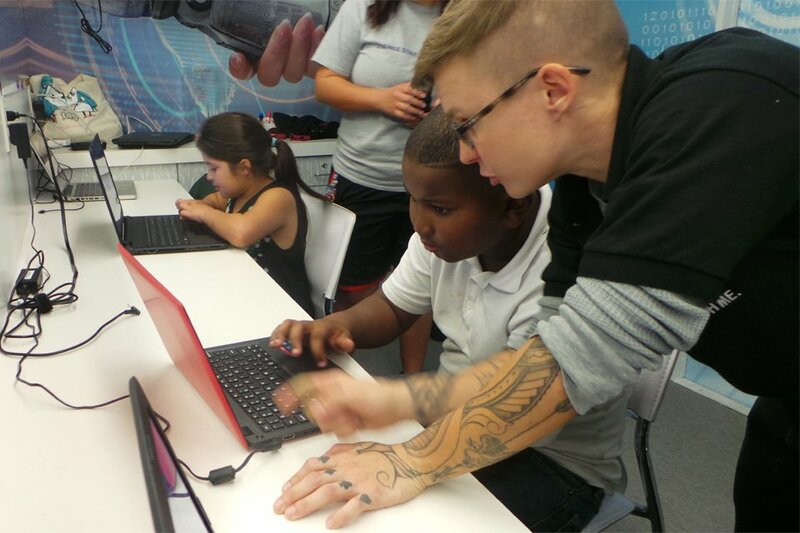 Genesis is an academy located in Los Angeles, that provides hands-on STEAM learning experiences for undeserved students to apply their skills to real life challenges. 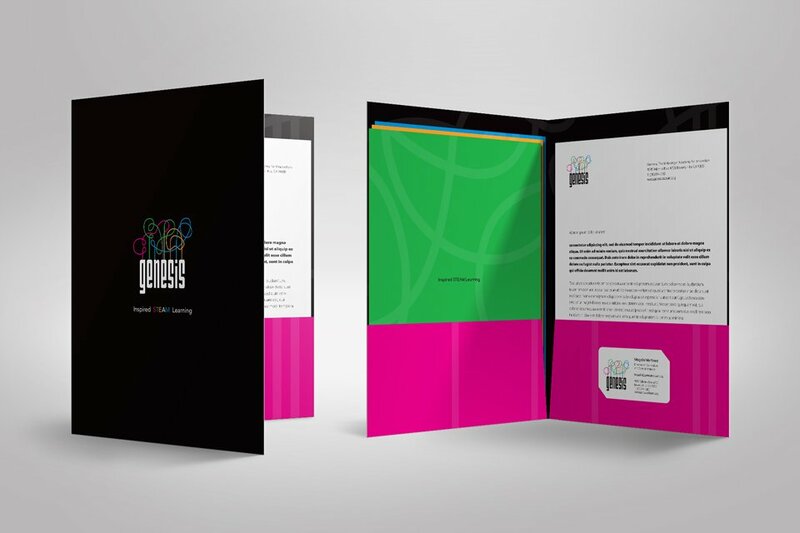 Our challenge was to redefine there vision and give “life” to an existing brand. 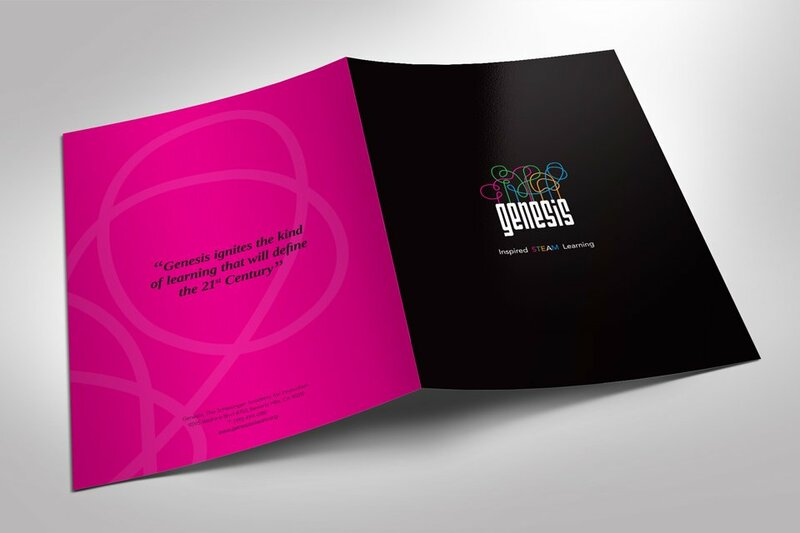 We developed an overall identity for the brand based on its core values; welcoming, creative, playful, curious. 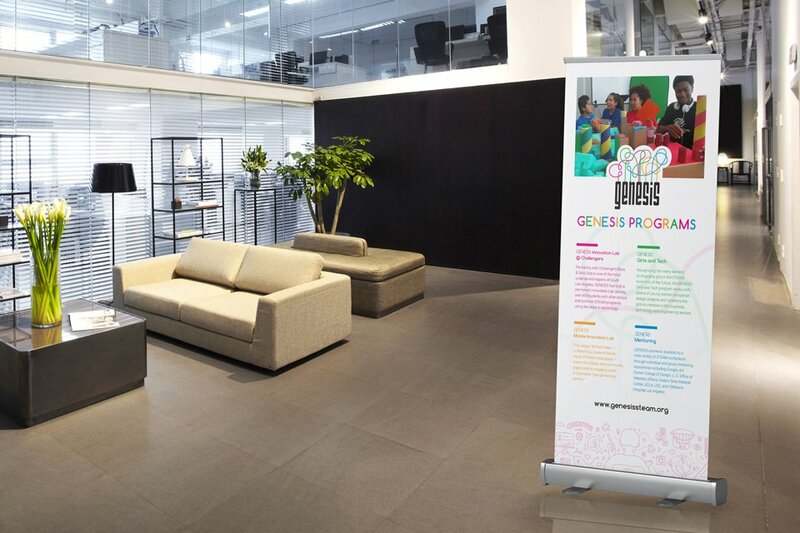 The animated logo is based on vibrant neon colors that connect with kids, inclusiveness, technology and fun. 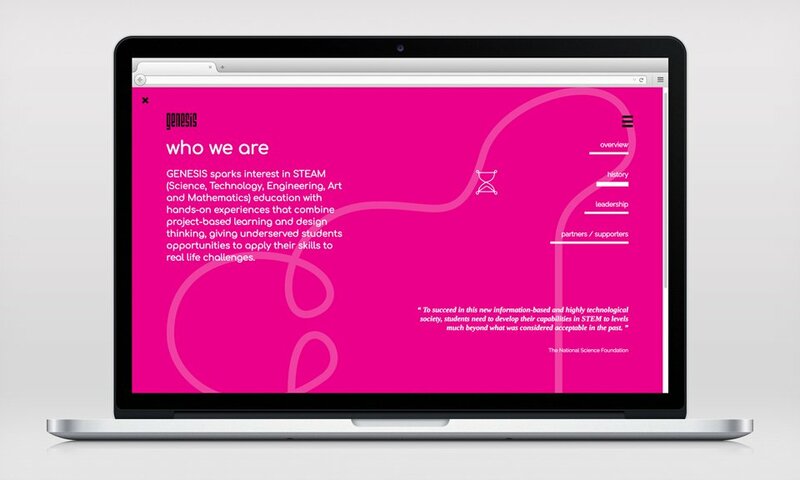 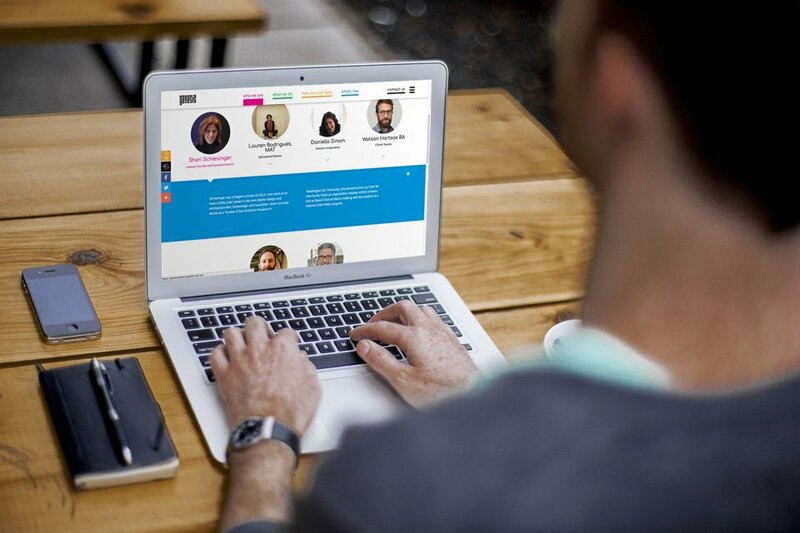 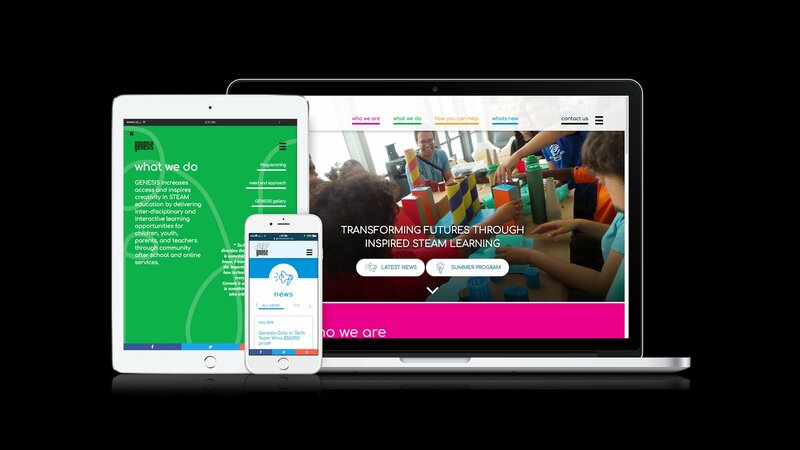 We developed a site that is playful, technology oriented with dynamic movement throughout. 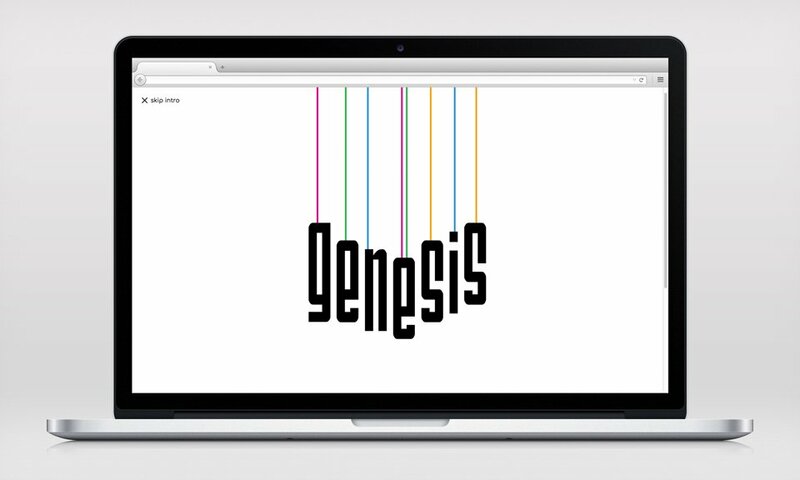 Genesis achievements are portrayed in animated graphics. 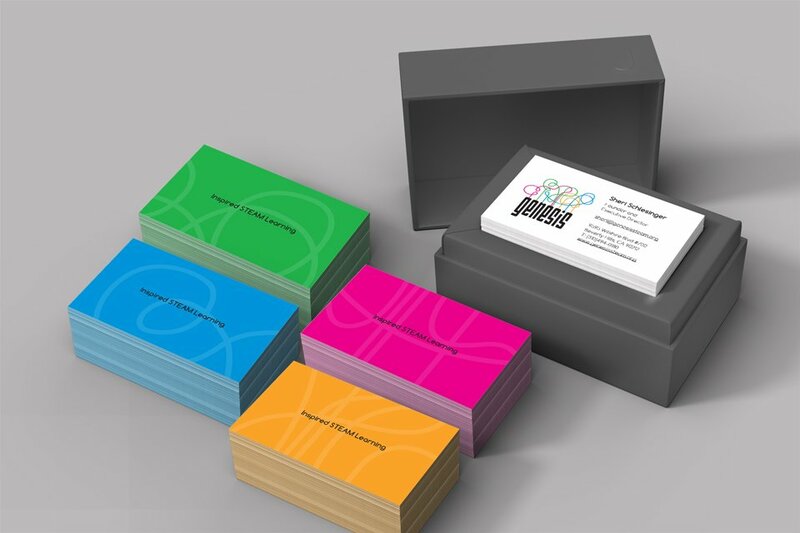 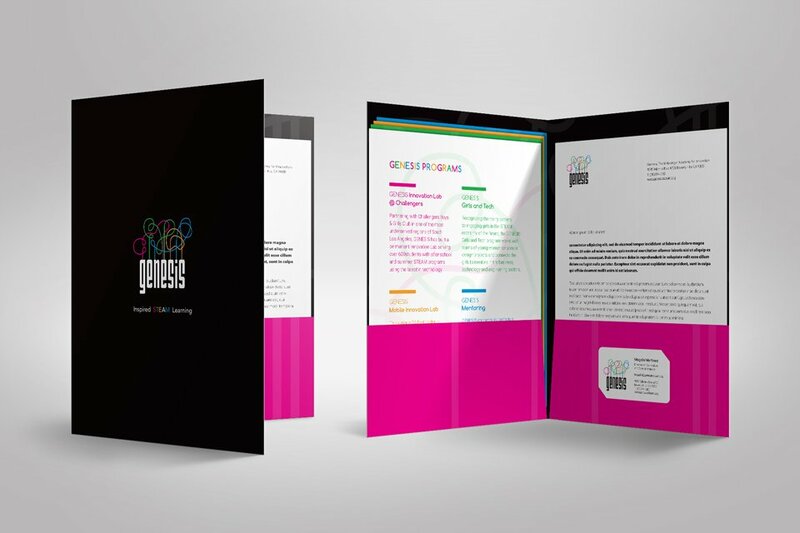 The collateral materials are playful with mix and match business cards and stationary.